Every day, gifts from alumni and friends of the department make a difference in students’ lives. Below, meet a few of our many exceptional music majors, and see how gifts from people like you have benefited their experiences at UW-Madison. Jeff Snyder, Composer: “Without the Hilldale Undergraduate Research Grant at UW-Madison, I would not have had the freedom and resources to start myself on this trajectory when I did, and I may not have found my way to the creative and exciting field I work in today.” Read more about the unique instrument that Jeff designed and built while an undergraduate student in the School of Music. Brittany Sperberg, BM Trombone (pictured at right): “I was awarded the Jeanette Ginzl Scholarship, Edda Valborg Ofstie Scholarship, Raymond F. Dvorak Music Education Award, and Full Compass Foundation Scholarship. I also receive another scholarship through the School of Music. If it were not for these scholarships, I am not sure I would have been able to stay at UW-Madison. I am touched by the generosity others have shown me and want to impact others through my music, just as others have influenced me. Read about Brittany’s achievements, including the Dairyland Jazz Band that she organized herself. Ben Davis, BM Education: “The scholarships I have received from the School of Music and the Raymond F. Dvorak Scholarship have been very important for my family. The financial assistance provided through these scholarships… has allowed me to be able to continue experiencing all of these great things that I have been able to do up here at UW.” Read more about Ben’s activities as a composer, trumpeter, educator, and arts administrator while a student at the School of Music. Alice Bartsch, BM Violin: Alice was a member of the Perlman Trio, an ensemble funded by generous School of Music donor Kato Perlman. Read more about the musical activities of Alice and her older sister Eleanor. Jacob Wolbert, BM Percussion: “Thanks to these scholarships (the Hilldale Undergraduate Research Grant and a Foreign Language and Area Studies Fellowship), I have been able to further my love of Brazilian music, develop a better understanding of the Portuguese language, and connect with people across the university and country that I wouldn’t have otherwise been able to connect with.” Read more about Jacob’s ethnomusicology fieldwork in Rio de Janeiro. Eleanor Bartsch, MM Violin: “The Paul Collins Distinguished Wisconsin Fellowship has been an amazing opportunity for me. Because of it, I am able to focus solely on my music career and on decisions about the future. After my undergraduate degree, I worked several different non-musical jobs. Although I have to admit that the stability was nice, I really looked forward to getting back to the music. The Collins has allowed me to make that transition with ease.” Read more about Eleanor and her sister Alice’s burgeoning careers. Philip Bergman, MM Cello: “I applied to several other schools, but chose to come to UW to study with Professor Vardi in part because I was lucky enough to be offered a Paul Collins Distinguished Wisconsin Fellowship. I had the opportunity to meet Mr. Collins this past fall when I performed with a quintet at a banquet. I thanked Mr. Collins not only for his support of my education, but for his role in creating some of the finest positions available to student musicians in this country.” Read more about Philip’s upcoming move to Japan, where he will be a member of the Hyogo Performing Arts Center Orchestra. Jeremy Zima, Ph.D. Candidate Musicology: Jeremy received number of awards while at UW-Madison, including a Wisconsin Musicology Fellowship (2011) and a Vilas Travel Grant (2012). Read more about Jeremy’s upcoming research trip to Berlin. 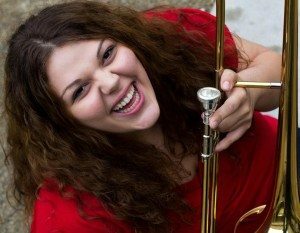 Hire a UW-Madison Musician for Your Event!